Projectcampus is a social learning app for schools and universities. 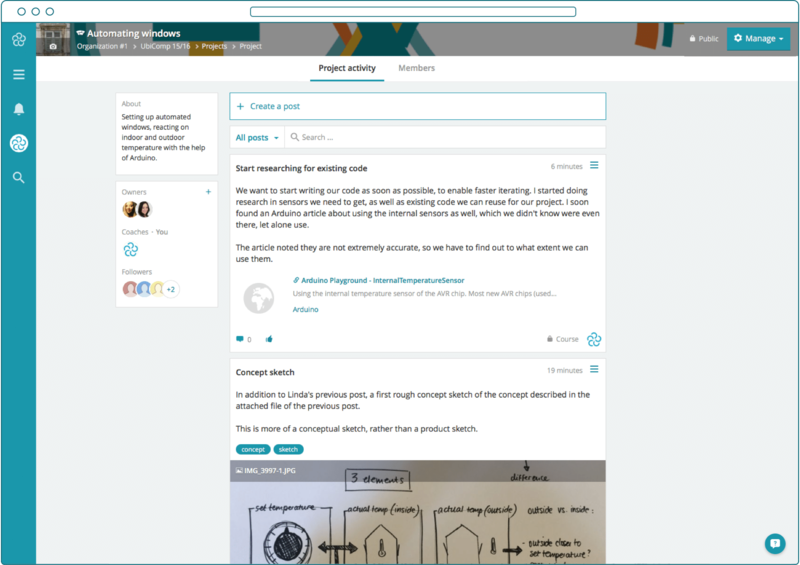 Students can share and discuss progress in project pages with their teachers, peers and clients. Projectcampus can be easily integrated in your LMS. Learning isn’t just about lectures, course material and exams. What if learning is about doing projects in a learning community? Projectcampus makes it easy to communicate as a community. Each student or project team creates their own learning journey. What if we would focus more on student motivation? We believe the online learning environment should be built more as a motivational experience. What if there would be no need for emails anymore? Email for everything is old school. Just receive notifications on your phone, in Slack or in a daily email. You decide. Want to know how Projectcampus can help? Feel free to reach out for questions or more information about pricing, a trial with one course or a pilot with multiple courses.